The project analyzes how the selected explanatory factors affect tuition and fees by using simple regression models. The main variables of interest include: tuition and fees in year t, GDP in year t from CPI, enrolled students in year t, household debt in year t, interest rate in year t, earnings difference in year t, where t is the time index, in years. The regression derived and used in the empirical investigation is given by: Y(t) = -466.7 + 1.86X1(t) – 3.01X3(t) + 5.26X4(t) + 0.52X6(t) + 0.90X7(t) + e(t). In line with the literature, the regression model shows five significant factors that drive tuition: general inflation; federal government, state, and local government support per enrolled student; household debt as a percentage of GDP; financial sector debt as a percentage of GDP; difference between the mean earnings. Thus, we can divide the right-hand-side into the following groups: general inflation, effects from taxpayer support, effects from leverage, and the earnings difference. The time-series data used all starts at 100. The data represents the most significant factors affecting college tuition and the causes of students accept federal financial aid. Each factor is considered due to how each has the ability to change over time, further explaining how college tuition and federal financial aid change over time. The model demonstrates that the strongest effect is from the leverage and the second strongest from the taxpayer support. The parameters for the household debt relative to the GDP and the financial sector debt relative to the GDP indicate that leverage in the economy drives tuition. Since the leverage depends on credit markets, tuition and fees depend also on the markets. If households and financial institutions are able to get large loans at low prices, their leverage rises as we have seen during the last 25 years. This credit rise has driven multiple things and tuition is just one example of that. During 1987 – 2017 household debt relative to the GDP rose by 107% and financial sector debt relative to the GDP by 552%. By this model, these changes increased tuition and fees by 848%. On the other hand, when the support per enrolled student increases then tuition and fees fall, i.e., colleges change tuition and fees partly in order to compensate fluctuations in taxpayer support. Between 1987 and 2017 the support per enrolled student rose 246% and, by this model this decreased tuition and fees by 740%. Thus, the support from taxpayers eliminated most of the effects from the leverage. College inflation is also highly sensitive with respect to the general inflation. During 1987-2017 CPI rose by 218% and, according to the model, this pushed tuition and fees up by 406%. Finally, the earnings difference raises the value of the education and this way also tuition and fees. Between 1987 and 2017 the earnings difference increased by 324% and raised tuition and fees by 292%. This project used a regression model to explore what affects the rise in college tuition over the period of 1987-2017. In addition, the project assessed the Bennett Hypothesis, which states that the rise in college tuition is due in-part by the rise in federal financial aid offered. The results indicate that the factors of tuition and fees, GDP from CPI, enrolled students, household debt, interest rate, earnings difference in year t, all affect the rise in college tuition. While the Bennett Hypothesis was also considered, it showed to not have as great of an impact on the price of tuition as the other factors did. The correlation between the factors tested and the rise in college tuition gave an R-squared value of 99.7%. Looking forward, there are two trends: US households and financial institutions are deleveraging, their debt levels with respect to GDP fall and taxpayer support rises and, therefore, the support per enrolled student increases. Both of these trends should decrease college inflation. Future research should explore how different geographical regions affect college tuition in the area and how much people are willing accept in financial aid moving from the geographical location that they reside to the geographical location that they are attending college. This would allow researchers to develop a better understanding of how tuition prices change based on the permanent residency demographic of students and how financial aid changes from one geographical location to the next. As the purpose of our project is to understand if there is a correlation between the rise in college tuition with the amount of financial aid offered to students. If a relationship exists between these two events, we hope to understand how the level of subsidies impact tuition across the United States, as well as other countries worldwide. Developing our research and going forward with factors that we believe most greatly affect our hypothesis, our research thus far supports our initial claim. While conducting research and strategizing the most effective ways to gather information and research, we selected conceptual variables that have the potential to influence the rise in tuition prices. The variables chosen for the full model are: Average yearly Inflation in the United States, Total Financial Aid (in millions), Gross Domestic Product- GDP- (in trillions, from CPI), Expenditure of Public and Private Colleges and Universities, Median Household Income in the United States, Human Development Index (HDI). We are using the average price of tuition as our y-variable, as it is necessary to look at averages when assessing the cost of universities over time. The variable “Total Financial Aid in US dollars” was chosen due to our curiosity related to the possibility of colleges making the average amount paid by a student the same by increasing the tuition price correlated to the increase of Aid. This was the other factor in our model that was a nonnegotiable factor; one that our model could not properly be solved without. Average inflation in the US over one year is important to our model due to the possibility of it affecting the rise in tuition costs, justifying the increase in real dollars. 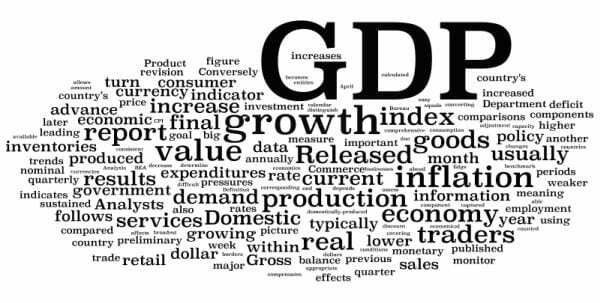 The fourth factor chosen for our model was GDP in trillions of dollars. 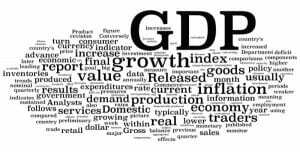 We believed that if there was a serious trend in the rise of GDP, it could be a possible explanation for the rise in college tuition.We believed that an increase of a country’s economy would generate an increase in quantity demanded to attend university, justifying the increases in price. The next factor we selected was the average expenditures of public and private colleges and universities in the US per year. This factor was chosen for our model because we assume that the more the university spends and invests, the more they expect students to pay. As students are given an increased amount of aid and as colleges and universities are given more money to spend per year, they would only adapt their budgets to have more and more money each year. Median household income was a factor we chose to incorporate into our model because we were making an assumption that if household income increased then colleges and universities would be more likely to raise tuition. If colleges and universities are assuming that median household incomes are rising then they would rationalize a raise in tuition. HDI was a factor added into our model because it is the measure of life expectancy at birth, average years of schooling per person ages 25+ and the GNI or gross national income per capita. We believed this would be important to add into our model because it is a good measure of if the number of college age citizens are actually attending college or university. When creating our full model, we believed these factors had a high influence due to our preliminary research within the beginning stages of our work. We added additional variables that we strongly believe may explain the amount charged by colleges. We expected for all of these factors to have a positive influence in the prices of college, and for the constant to also be a positive number. From the research conducted thus far, Total Financial Aid (in Millions) multiplied by Expenditure of Universities, and Median Household Income in the United States are significant for our model, and have the potential to explain the rise in Tuition. For every additional $1 million given in aid in the combination of financial aid and college expenditures sees an increase of .001 cents in the average price of tuition. And for every dollar increase in the median household income, the average price of College tuition in the US increases by about 29 cents. Our constant is of -8159.35. The title of our research project for the 2018-2019 academic year is: The Rise and Relationship Between Financial Aid and College Tuition. 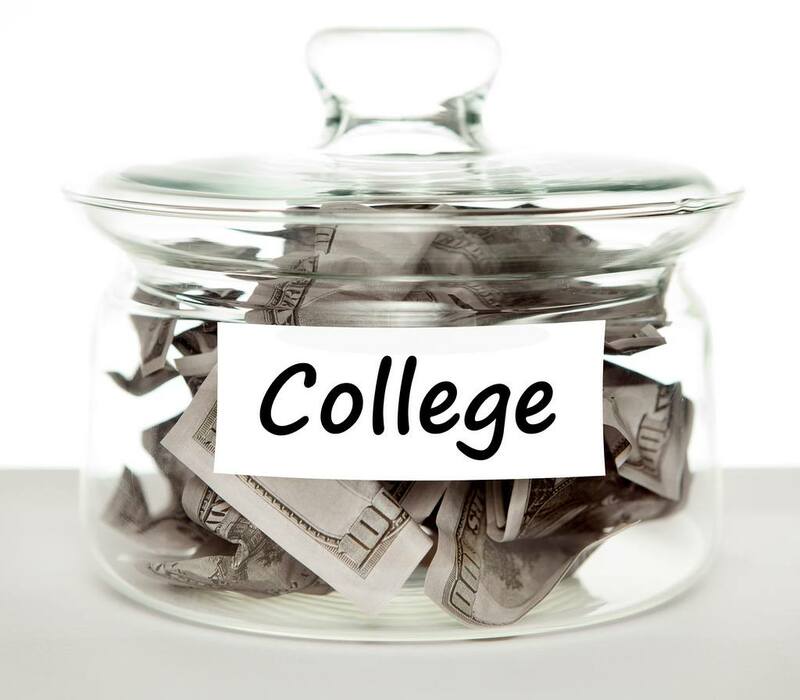 The purpose of our project is to understand if there is a correlation between the rise in college tuition with the amount of financial aid offered to students. If a relationship exists between these two events, we hope to understand how the level of subsidies impact tuition across the United States, as well as other countries worldwide. Deriving this research topic, we have conducted literature review, beginning with the Bennett Hypothesis. The Bennett Hypothesis states that an increase in financial aid causes an increase in college tuition. Many economists in our research have argued that the Bennett Hypothesis is correct. They often use the same economic premise: providing a cost subsidy in the form of loans or grants will increase demand for higher education. As demand increases more quickly than supply, quantity will increase but so will prices. While this is true under basic economic theory, the U.S. economy is much more complex and many other factors are probably at play. This hypothesis is the starting point for our research project and will be the foundation our work builds from. To critically assess the rise in college tuition and the increase in financial aid offered to students by the government, both nationally and internationally. To classify and evaluate the operations of raising the cost of college tuition nationally and internationally. To classify and evaluate the operations of providing financial aid to specific individuals nationally and internationally. To evaluate any current methods being used to study financial aid and college tuition in the United States and internationally. To make recommendations to further study the relationship of subsidies and college tuition across nations and the long-term effects of receiving financial aid. In taking on this research project, we hope to learn and understand each step of how tuition is calculated by colleges and universities, how financial aid trends impact college and universities decisions on tuition, and how the relationship affects the decisions made by incoming and current college students. Additionally, we hope to obtain a better understanding on how the government and other outside scholarship and grant providers determine the amount awarded to students each year, as well as how and why this changes year to year. Determining our research design, our blueprint will be following a descriptive design for our research. Descriptive design, which involves both qualitative and quantitative study, helps people provide answers to the questions of who, what, when, where, and how associated with a particular research problem. It is used to obtain information concerning the current status of the phenomena being research and what already exists. In carrying out our research and creating our project, we hope to connect existing studies and data with new observations and data to create the most accurate understanding and conclusion as possible. Being fully aware to the factors that affect each part of the tuition and financial aid relationship, our research design will capture the two ideas as independents to further understand if they are, or have become, interdependent.